Wesley F. Snook Sr. passed away Tuesday, September 30, 2008 in Kalamazoo. Mr. Snook was born December 1, 1927 in Otsego, the son of Harry and Golda (Breck) Snook. Wesley was a graduate of OtsegoHigh School and served in the U. S. Air Force. For over 30 years, he worked for Consumers Ready Mix as a driver and manager. He was a good husband, father and provider for his family. On May 21, 1948, in Otsego, he married Erika Scholz, who survives. Also surviving are 2 sons, Wesley Snook Jr. and Erik Brian Snook, both of Otsego; 3 granddaughters, Leslie, Alecia and Amber; several great grandchildren; 1 brother, Harry L. Snook of Kalamazoo and his children, Kevin, Karen, Sharon, Janet, Camellia and Yvonne. He was preceded in death by an infant daughter Sonja, and a brother. Friends may meet with his family from 2-4 P.M. Friday at Winkel Funeral Home. Cremation will follow. Teresa I. LaDuke of AlamoTownship died Sunday, September 28, 2008, in Kalamazoo. Teresa was born April 30, 1960. Surviving are her fiancé, Bill Burkhead; her daughter, Jessica LaDuke and her fiancé, Mark Keech; two granddaughters, Cammi and Mia; her parents, Bernard and Sylvia (Bernier) Wilcox of Allegan; several sisters and brothers. The family will receive friends from 1 to 4 P.M. Wednesday at Winkel Funeral Home. A pot luck gathering for family and friends will follow the visitation at American Eagle Campground, 8368 W. C Ave., Kalamazoo; everyone is encouraged to join together and to bring a dish to pass. Contributions in memory of Teresa may be made to the American Cancer Society. Hale Wilson “H.W.” Hale of North Ridgeville, OH died September 26, 2008 in Ohio. Mr. Hale was born January 14, 1917 in Allegan to Guy and Ruby (Gillette) Hale and was a lifelong resident of the Allegan area until 1998 when he and his wife, Clio, moved to Toledo, OH to be near their daughter, Linda. Beginning in 1947 he was employed with Imperial Carving until his retirement in 1980. Hale was a member of the Allegan Elks Club and Ot-Well-Egan Golf Course. He was an avid golfer, bridge player and had made a hole-in-one at Ot-Well-Egan. Surviving are two sons and a daughter, Christopher (Arlene) Hale of Kalamazoo, Linda (Rodney) Teen of Perrysburg, OH and Gregory (Joyce) Hale of Allegan; 4 grandchildren; a sister Mildred Wuis of Otsego; many nieces and nephews. He was preceded in death by his wife, Clio Hale in 2002; two brothers and two sisters, Edith Arndt, Paul Victor “Vic” Hale, Mary June Rowe and Max Hale; a half sister, Hattie Mae Hiscock Doster; and a half brother, Earl Deshong. Cremation has taken place. Private family services will be held at a later date. 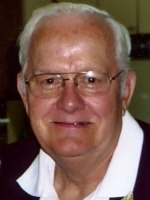 Albert P. ‘Butch’ Germain of WatsonTownship passed away Friday, September 26, 2008 in Grand Rapids. Butch was born August 17, 1947 in Plainwell, the son of John ‘Jack’ and Alleen (Brewster) Germain. He earned a Bachelors and Masters Degree from WesternMichiganUniversity. For over 30 years, he taught at MartinPublic Schools. Butch was a member of the AlleganCounty 4-H Travelers Club, the Martin Lions Club, and the Allegan and Martin Lionesses Clubs. He was active in Lions District 11-C-1 and was Cabinet Secretary for Governor Granville Cutler. He served WatsonTownship on the planning commission, as a board member and as their cemetery sexton for several years. Al enjoyed studying Michigan History and loved to attend his children’s sporting and extra-curricular activities, including chaperoning band activities. In August of 1970, while he was in basic training for the U.S. Army, his first wife, Linda Marie (Mabus) and infant son Scott were in an automobile accident, where she lost her life. On July 5, 1975 in White Pigeon, he married Sandra ‘Sandy’ Whisler, who survives. Also surviving are his son, Scott and his wife Michelle Germain and their children, Lance, Dakota and Brenden, all of Howard City; his daughter, Kelly Ann Germain of Watson; brother Gary (Connie) Germain of Watson; an aunt Jewell Germain of Watson; several nieces, nephews and cousins. He was preceded in death by his parents, his first wife Linda Marie and an infant brother, Bobby. Friends may meet with his family on Sunday from 2-4 and 6-8 P.M. at the Winkel Funeral Home, Otsego, where services will be held Monday at 11:00 A.M., Mrs. Jane Mazei? officiating. Interment will be in MinerCemetery, Watson. Memorial gifts can be made to the Muscular Dystrophy Assoc. or the Martin Lions and Lionesses Club Building Fund. Mildred R. Ayres of Plainwell passed away Thursday, September 11, 2008 in Kalamazoo. Mildred was born September 23, 1921 in Texarkana, Arkansas, the daughter of Robert and Ruth (Wallace) Connor. Surviving are 1 son, Phil (Leslie) Ayres of Plainwell; granddaughter, Joanna McHugh of Plainwell; 4 great grandchildren, Courtnie, Chelsea, Joshua and Cody; 3 step-grandchildren, Patti Kanipe, Peggy Trumble, Paul Trumble Jr., 3 step-great grandchildren, Nate, Jessica and Neil; several nieces and nephews. She was preceded in death by her husband, Alfred; a grandson James Ayres, a brother and a sister. Cremation has taken place. A memorial service will be held Monday at 11:00 A.M. at the First Baptist Church of Plainwell, Rev. Keith Heyn officiating. In lieu of flowers, memorial contributions can be made to the charity of your choice. 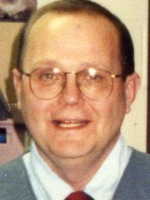 Jack B. Forbes of Kalamazoo, MI, passed away Saturday, September 6, 2008. Mr. Forbes was born April 8, 1934 in Grand Rapids to Clarence and Jessie (McDonald) Forbes. After 42 years of service, he retired from Menasha Paper Co. Jack was an active member of the Otsego United Methodist Church where he was part of the Apple Dumpling Gang and the Lunch Bunch. In his younger years he enjoyed snowmobiling, square dancing, riding horses and owned a stock car. In recent years he was an avid camper and John Deere collector. Jack was a family man; his family always came first. If someone was in need, Jack would be there to help. He adored his wife and daughters and his favorite pastime was being with his granddaughters and great-grandson. On September 17, 1955, in Kalamazoo he married JoAnn Ward, who survives. Also surviving are two daughters, Charlene Forbes of Otsego and Karen Forbes of Kalamazoo; four granddaughters, Jordan Casarez, Carlee and Krystle Forbes, and Danielle Casarez and significant other, Jory Wiersma; a great-grandson, Trenton J. Wiersma; a sister, Eleanor VanHouten of Pharr, TX; a sister-in-law, Phyllis Forbes of Gobles; many nieces, nephews; and his best friends, “Russell” Fisher and Ron Hoover. He was preceded in death by his twin brother, Bruce J. Forbes, his brother Gordon Forbes, and two sisters, Lucille Rennie and Phyllis Rinehart. Friends may meet the family from 2 to 4 and 6 to 8 P.M. Tuesday at the Winkel Funeral Home, Otsego, where services will be held at 11:00 A.M. Wednesday, Pastor Joe Shaler officiating. Cremation will follow with burial of ashes at Oshtemo Hills Cemetery. Contributions in memory of Jack may be made to the American Heart Association or the Window Restoration Project at Otsego United Methodist Church.